Final Crown Heights North Historic District. Map: LPC. Landmarks credited the residents of Crown Heights for generating designation. 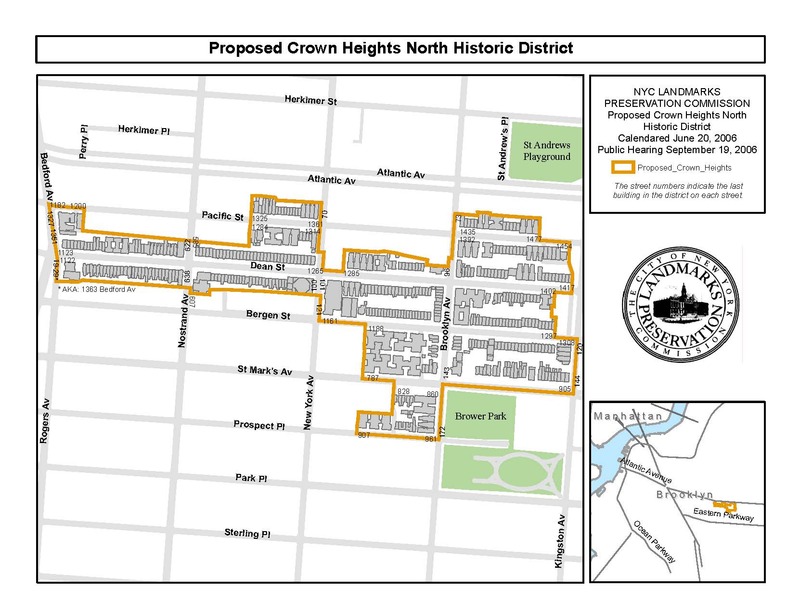 On April 24, 2007, Landmarks voted unanimously to designate the Crown Heights North Historic District encompassing 472 Brooklyn buildings built between the 1860s and the 1930s. Landmarks called the designation a first of several phases in Crown Heights, adding that it hopes to designate a total of 1,400 buildings in the neighborhood. LPC: Crown Heights North Historic District (LP-2204) (April 24, 2007).